Microlearning is a method of training that takes place in short, digestible, instructional bursts, and aims to teach content in the most efficient and effective manner possible. In this article, I’ll share some of the strategies we use to create memorable microlearning experiences, and offer some tips to help you create eLearning experiences that engage and “stick”. We’ve all been there. We’ve all experienced the boring lecture, the webinar that drags on forever, the eLearning course that’s as interesting as a box of rocks. And we couldn’t wait for it to end. Why? Because we really weren’t all that engaged in the learning content. In this article, I’ll share some of the successful strategies we’ve used to generate engagement, capture attention, and draw learners in. When people learn a new concept or task, they have a natural instinct to relate new information to concepts they have already learned and stored in their memories. That’s why it’s important to use context. Context helps create a connection between new in-coming information and previously acquired knowledge. 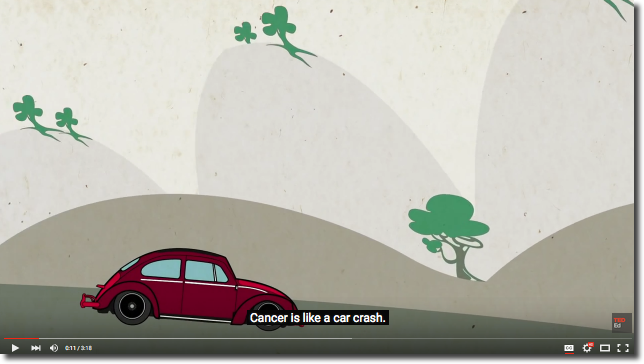 For example, when creating this short tutorial for TedEd, we related the concept of cancer to a car crash. [Narration] Cancer is like a car crash. 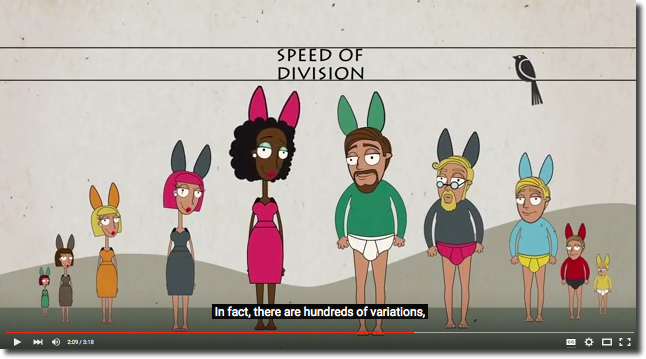 Your body typically regulates the speed at which cells divide. [Narration} But sometimes, cancer cuts the break lines, and your cells divide too quickly, accumulating mutations that cause them to veer away from their original function, form dangerous tumors and land you in the hospital. 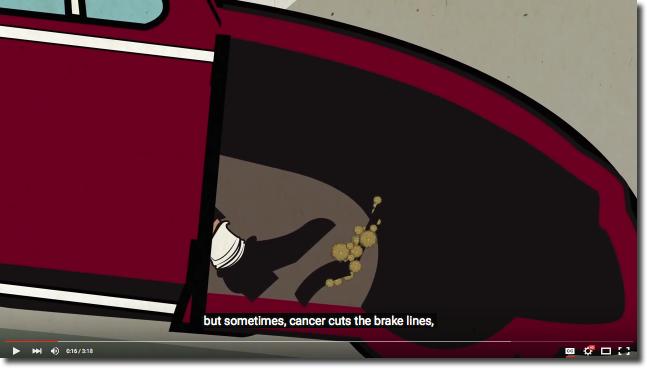 By relating the concept of cancer to a set of faulty brake lines resulting in a car crash, we helped the learner better understand the concept of cancer, and made it more likely for them to commit this concept to long-term memory. Stories can be told with as little as a single image, a short animation, or just a few words. Stories make use of context, but also work by placing a visual in the mind of your learner, making the learning process more engaging and thus more memorable. For example, we used a story concept in this tutorial, likening the BRCA1 gene to a protective hand stopping the onslaught of a mutated gene. [Narration] BRCA1 helps repair some forms of mutation in your dna. 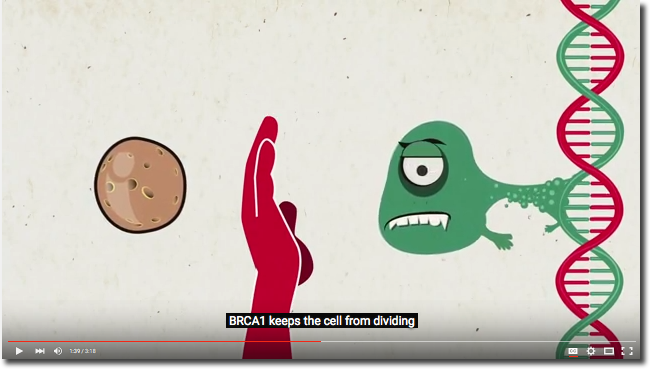 If your dna is damaged, BRCA1 keeps the cell from dividing until the mutation is repaired. The story grabbed the learners’ attention and also added “stickiness” to the content, helping them to remember the BRCA1 gene and its role in stopping mutations. Nothing turns a learner off quite like uninspiring images or poor quality video. And the surest way to lose a learner is through audio that is stilted or inaudible. It doesn’t take much to enhance your video or audio without spending a lot of money. So go the extra mile to make sure your production is high quality. We worked closely with our partners at TedEd and Zedem Media to create simple but engaging graphics, and clear audio with available closed captioning. The little bit of extra time spent in creating a quality production was well-spent and made a huge difference in learner engagement. Human beings are wired to pay attention to moving things. For most of our history, we’ve had to be hyper-aware of our environment in order to respond to life-threatening situations. The ability to notice and respond to movement is therefore an instinctive and hard-wired response. Leverage your learner’s basic instincts by engaging them with video and animations – but make sure they’re relevant to the subject. Students learn better when they are able to interact with the material. 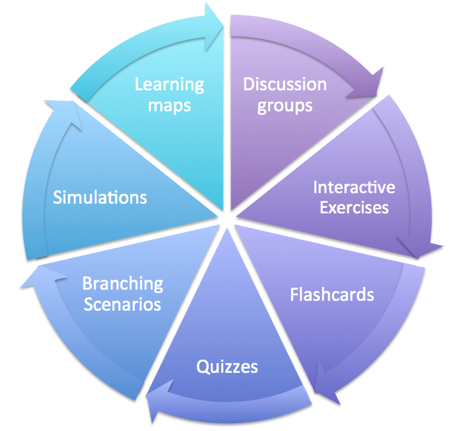 If possible, try to include relevancy-based interactive activities to keep your learner alert and actively engaged. But don’t go overboard – keep the activities brief and focused to avoid cognitive overload. Learners don’t have an unlimited amount of time to spend on your content. So be sure to get straight to the point. As a general rule, keep your learning module under seven minutes. If you can keep it under four, even better. Shorter modules aid retention by working within the limits of working memory and the human attention span. So take a good look at your content, and if there’s any fluff, edit it or eliminate it. We kept our module to just around three minutes – a sweet spot for attention span and memory! Interested in viewing the completed project? We’ve included it below! Sandy is the Director of Instructional Design and Development at Learning Interactives (a subsidiary of Ricochet Creative Productions.) She holds an Ed.S. in Instructional Technology and an M.A in Applied Longuistics.